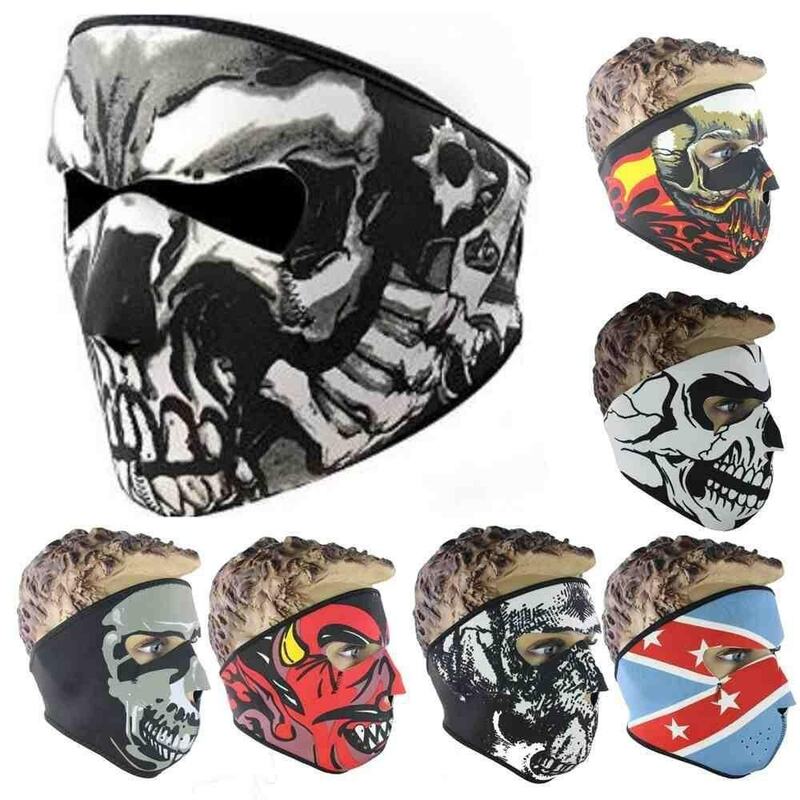 Description:Description:Neoprene face masks are the ultimate accessory for biking, skateboarding, motor cross, skiing and for all other outdoor active sports. Also suitable for paintballing and any activity where you require face protection.The masks are water resistant and provide great protection from the wind, rain and cooler weather. Quality finishing which includes an edging trim and special holes around the mouth and to allow for extra ventilation.You will find these masks ultra comfortable as they are shaped for your face and nose and have a smaller nose opening so you can breathe through your nose easier.You can also adjust the mask to fit your face as it has a wide and strongstrap at the back.Will protect you in sports and from the weatherComfortable to wear, lightweight, breathable and reversibleWithstraps and special holes around mouth so you can breathe easilySpecification:Material: PolyesterColor: As the picture shownSize: Free sizeSpecifications:Will protect you in sports and from the weatherComfortable to wear, lightweightbreathable and reversibleWithstraps and special holes around mouth you can breathe easilywindwoof and waterproofPackage Included:1 x Bike Face MaskNotes:1. Due to the difference between different monitors, the pictures may not reflect the actual color of the item.2. Compare the detail sizes with yours, please allow 1-3cm error, due to manual measurement.3. Please leaving a message before you give the bad feedback, if the products have some problems.Thanks for your understandings.